Matthew Stafford played his first full season as the starter in Detroit last season. No big deal – he just finished with over 5,000 yards and 41 touchdown throws. Oh, and he helped Calvin Johnson have the most dominating wide receiver performance since Randy Moss in 2007. In 2011, we saw one of the highest intensity offenses in the league make the playoffs for the first time since 1999. To put that into perspective, 1999 was the same year Austin Powers: The Spy Who Shagged Me, Internet Explorer 5 and Napster were released. And it’s the same year Matthew Stafford celebrated his 11th birthday. The 2012 Lions looks to do the same offensively as they did in 2011. And I think they can. Jahvid Best. He missed the final 10 games of the season due to concussions, but Best is more than a big play threat. Last season, before his injury, the Lions’ back was averaging 14 carries per game. His average yards per attempt was 4.64. Not bad. But the big thing with Best is what he can do in the passing game. Last year, he caught at least 2 balls per game and averaged 4.5 receptions per game. And it’s not as though he didn’t do anything with the ball when he caught it, putting up receiving games of 66, 74 and 73 yards. From a fantasy perspective, Jahvid produced 80 points in the 6 games last year before getting hurt (standard scoring). That’s good for 13.3 points per game. It’s also 2 points better than Beanie Wells and Steven Jackson’s 2011 averages, and a point better than Ryan Mathews’ average. If Best can stay healthy all season, then he’s a steal in the late 6th round (his current ADP). Running back Mikel Leshoure is suspended for the first two games of the season, and is coming off of a torn achilles. Leshoure has still not played a snap in an NFL game. Best is definitely worth a shot in the 6th or 7th round of a draft. If you can get him as a flex play, you could be in great shape. Calvin Johnson. It’s not as though I feel he isn’t the most talented receiver in the game, it’s just that consistently doing what he did last year seems nearly impossible. He only had three 100-yard games over the second half of the season. Ok, I say “only” like that’s bad, but I’m just basing this off of what he did at the beginning of the season. Over the first half of 2011, he was four yards away from having six 100-yard games. To put this in fantasy terms, through the first 8 games last year, Megatron totaled an unbelievable 142 points with standard scoring. The second half of the season, he put up 112. And moreover, exactly half of his second half games resulted in single digital fantasy production. The reason Megatron’s stats look fairly similar from one half of the season to the other is because he had two 30-plus point performances at the end of the 2011 campaign. If we were to take those two games away, his average points per game drops from 14 to 8.16. If we take the best two games away from the front half of his season, his average goes from 17.75 to 16.5. I can’t expect the same numbers from him this year because what he did Week 1 through Week 8 was just ridiculous. It helped skew his numbers, too. I still have him as the best receiver this year, but we shouldn’t compare him to his position like we would Gronkowski and Graham to theirs. He’s definitely better than the rest, but he’s not elite to the elite. Matthew Stafford. There’s a reason he was drafted first overall in 2009. He’s really good at playing quarterback. I fortunately snagged him in 3 of my 4 leagues last year (humble brag). I think he is most definitely capable of producing the same kind of numbers this season as he did last. Why? Because he’s another year removed from his shoulder injury and he’s got some great offensive talent around him. 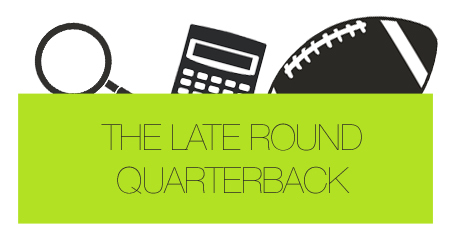 The problem with Stafford is that he’s an early round quarterback. We all know how I feel about drafting a guy like him early. I do think he’s being overvalued right now simply because I think all early quarterbacks are being overvalued. If you’re fortunate to have him as a keeper, though, you should expect top-tier numbers. Gifted. The Lions have a plethora of early round draft choices, and gathering them all on one team just doesn’t seem fair. Calvin Johnson is the overall best receiver in the game. Matthew Stafford’s arm strength is increasing and he’s becoming one of the top passers. And there are players who were drafted in the first two rounds of their NFL drafts, like Jahvid Best and Mikel Leshoure, who fighting for playing time. The 2012 Lions’ offense will be just as fun to watch as the 2011 team. Mark my words.